The MG Hector was digitally revealed to the media earlier this month, and soon after, its live images from a dealer preview event had surfaced online. In a fresh development, two uncamouflaged test mules of the new model have been spotted in the daylight. Series production of the MG Hector has already commenced. It will go on sale in June. 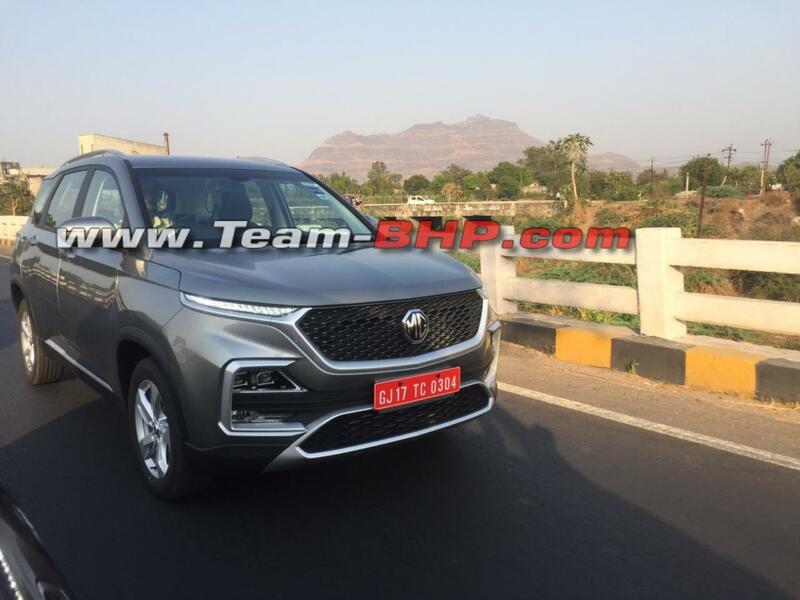 The recently spied test mules of the MG Hector reveal two exterior colour options for the new SUV. Moreover, the two test cars feature varying alloy wheel designs and exterior details. One of them is finished in a shade of metallic grey and has a silver-finished trim around the grille, bumper and headlamps. It has single-tone alloy wheels, thereby indicating that it belongs to a mid-level trim. The other test mule could be a top-end model as it has chrome trim on various soft parts and features dual-tone alloy wheels. It is painted in a shade of purple. Both the vehicles are kitted out with projector headlights, LED daytime running lights, roof rails and ORVMs with integrated turn signals. The top-spec configuration will come with include panoramic sunroof and 10.4-inch touchscreen infotainment system with TomTom IQ Maps navigation, Apple CarPlay, Android Auto and 5G-ready eSIM and 360-degree camera as well. The MG Hector will be launched with two engine options - 1.5-litre turbocharged petrol and 2.0-litre turbocharged diesel. The gasoline motor will output 143 hp and 250 Nm. It will be available with two transmission options - 6-speed manual and 6-speed dual-clutch automatic. It will be even available with an optional 48-volt mild-hybrid system. A 7-seat version of the MG Hector could be in the works. That said, MG Motor India is mum about it. 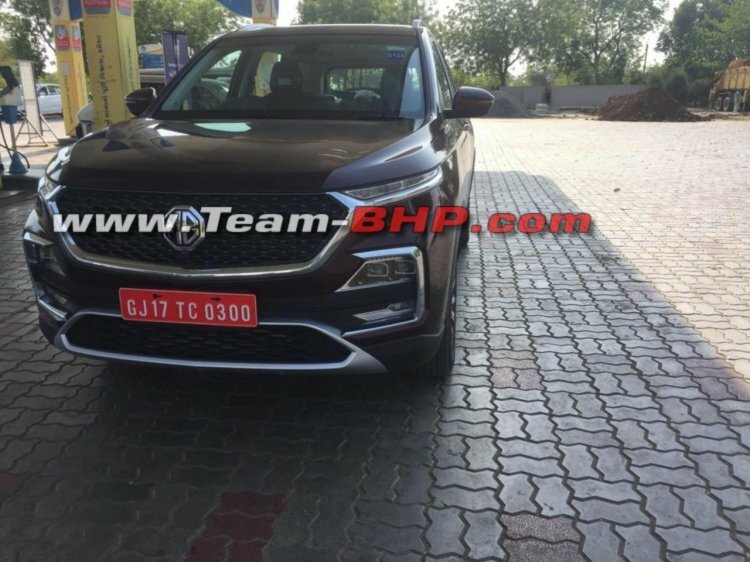 The diesel engine of the MG Hector will be the FCA-sourced 2.0-litre Multijet II unit currently shared by the Jeep Compass and Tata Harrier. In the Baojun 530-based SUV, it is expected to produce 173 hp of power and 350 Nm of torque. It will be mated to a 6-speed manual transmission.